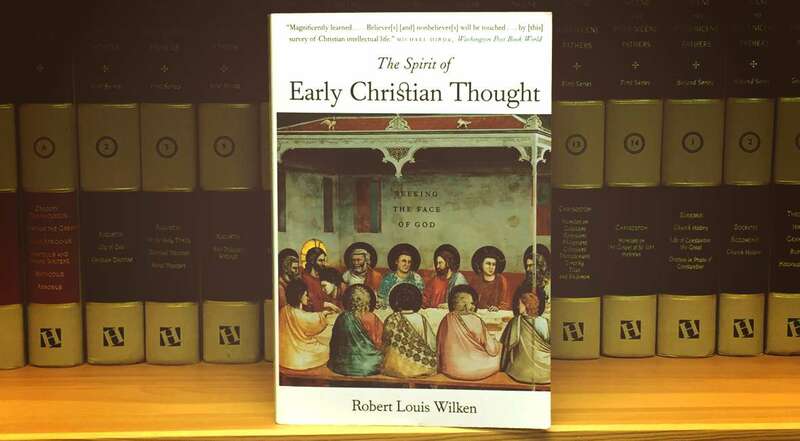 The Spirit of Early Christian Thought baptizes its readers in the thoughts of the church’s first, and arguably greatest, authors, defenders, theologians, and pastors. I feel as though I have been immersed in a new way of thinking that is, of course, a rather old way of thinking. But it is wise. The authors Wilken surveys in this book were great thinkers, as smart as anybody the Church, or the whole world for that matter, has ever produced. Their words come down to us today at just the right time, as the Western world is turning back to the ways of Rome and Greece. What, then, is the place of the church? “The church is not an instrument to achieve other ends than fellowship with God. It serves society by being unapologetically itself and by bearing witness to the justice that alone makes human community possible, the justice due God.” (p. 208) In the Church there is life with God, because the Church is the community that is bound by its love of God. Christians do not belong to a community whose ends, whose telos, lie within the confines of this world. “Christians…belong to a community of hope whose end lay outside of history.” (p. 197) This is why we often say that the Church is the hope of the world. So the Church must go on being the Church, refusing to accommodate the world or be conformed to its ways, but always remaining faithful to Christ. I have committed myself to reading the Early Church Fathers in 2016. While I hesitated to read a modern work, The Spirit of Early Christian Thought has helped me to soak in the formative thinking of these great men. Wilken does an excellent job of allowing the spirit of early Christian thought come through in his modern prose. He is faithful to the authors he is presenting. Whether you are interested in what the early Church authors had to say or not, this is an excellent book and I highly recommend it. If you are like me and believe that the wisdom of the past greatly exceeds the wisdom of the present, this book will be a tutor for your mind and a nurse for your soul. Take it and read.